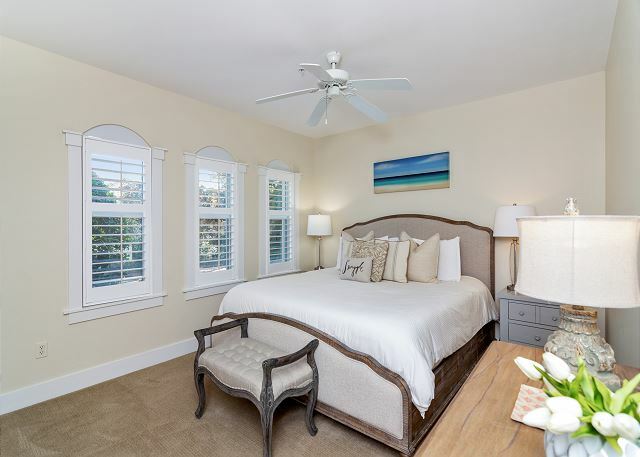 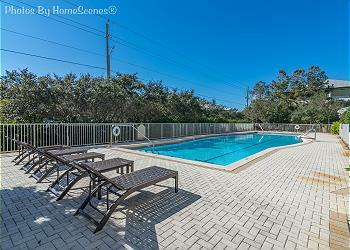 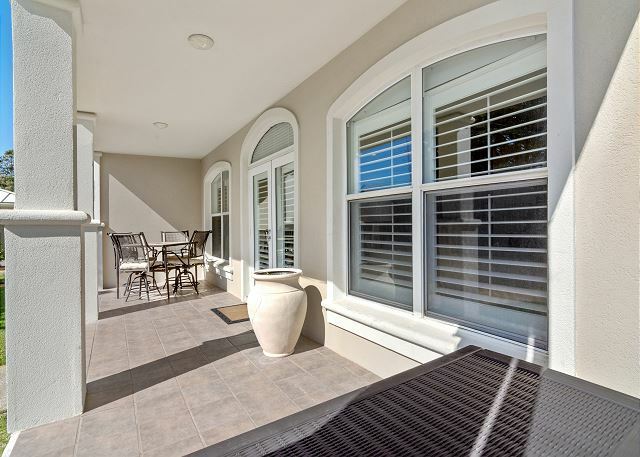 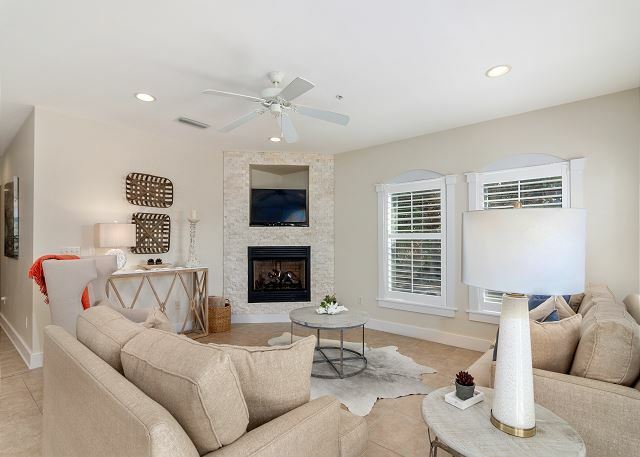 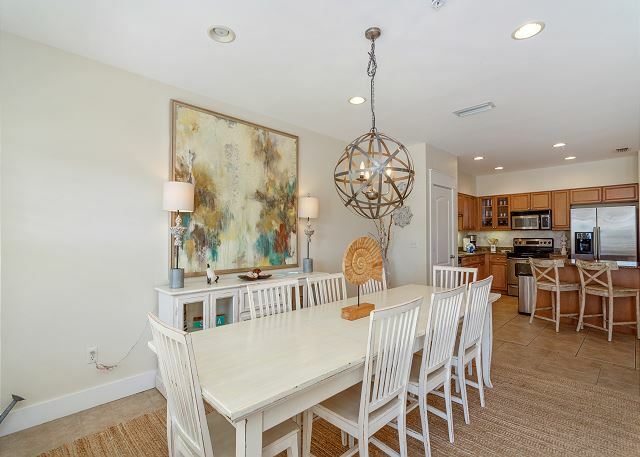 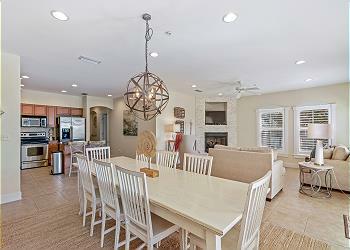 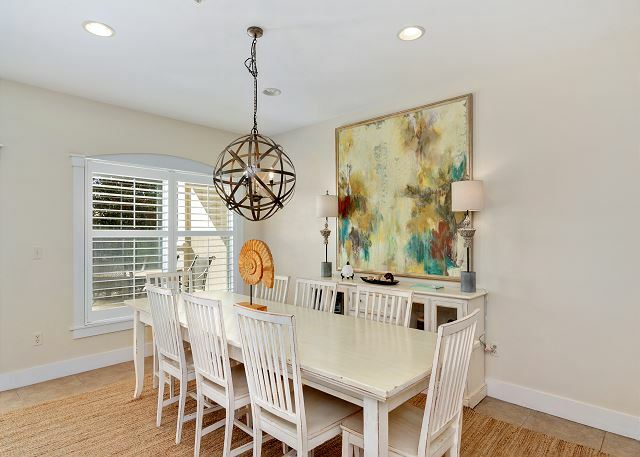 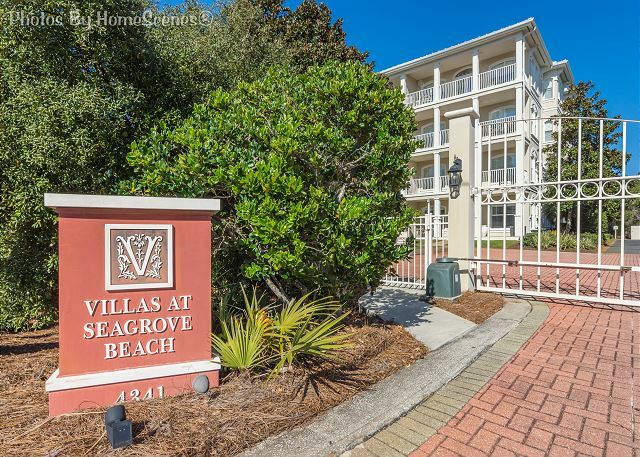 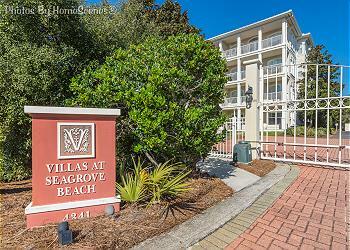 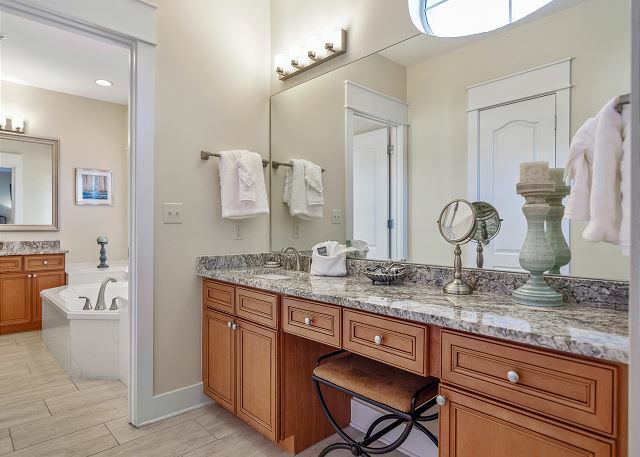 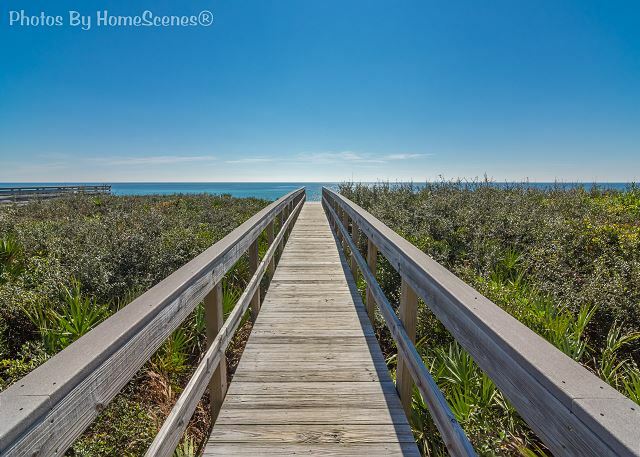 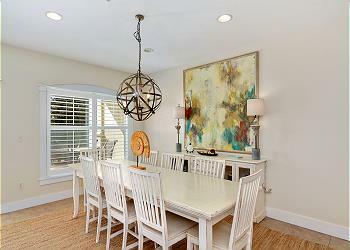 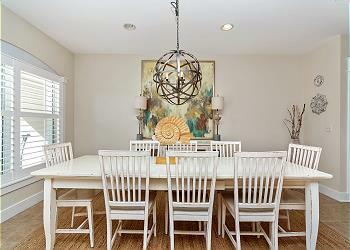 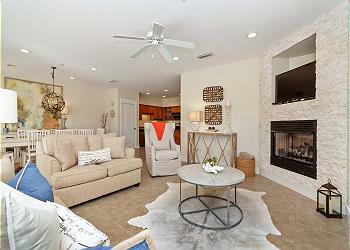 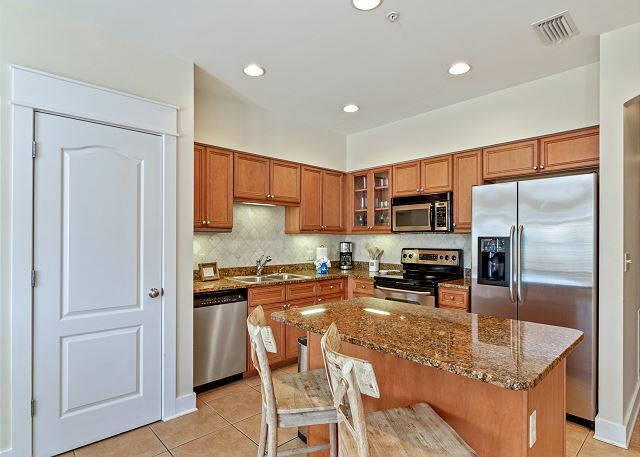 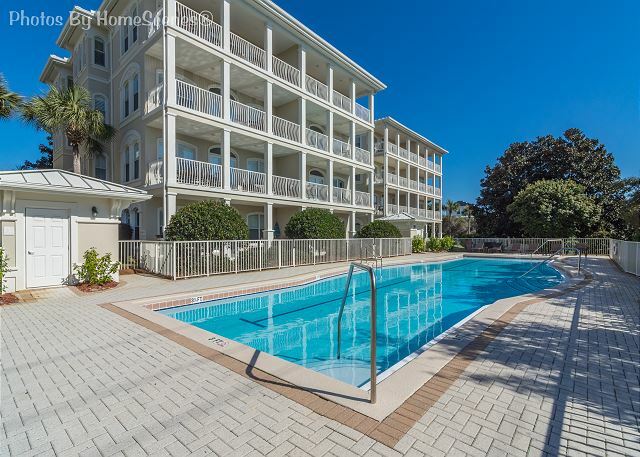 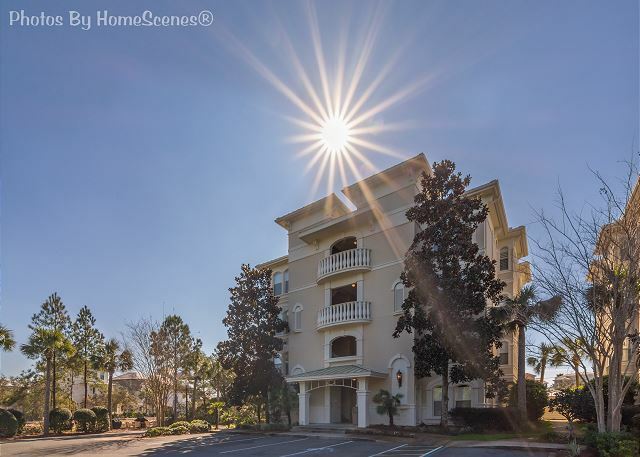 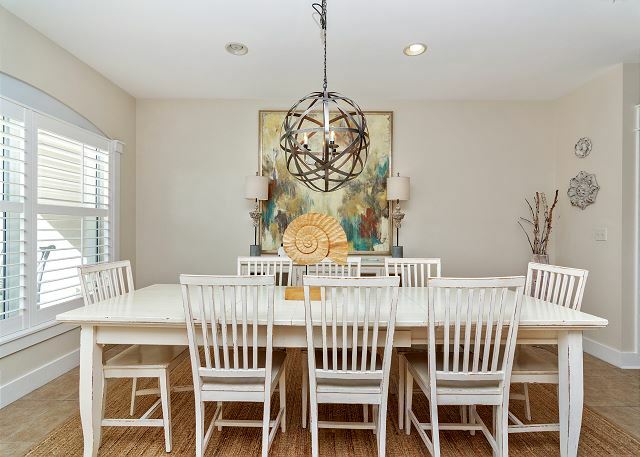 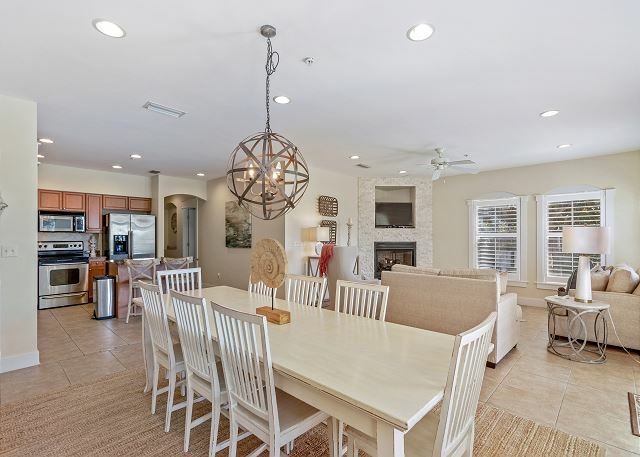 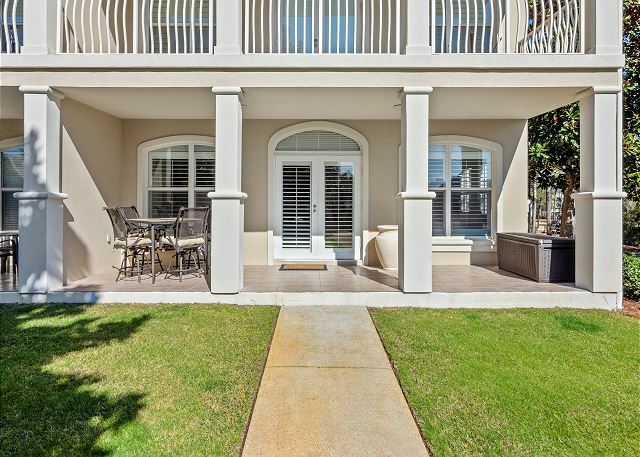 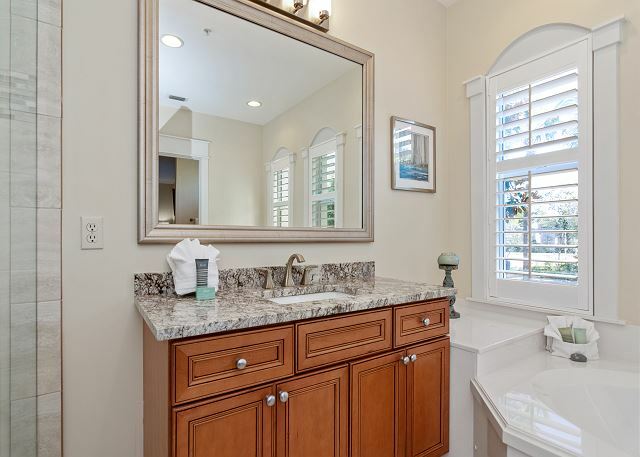 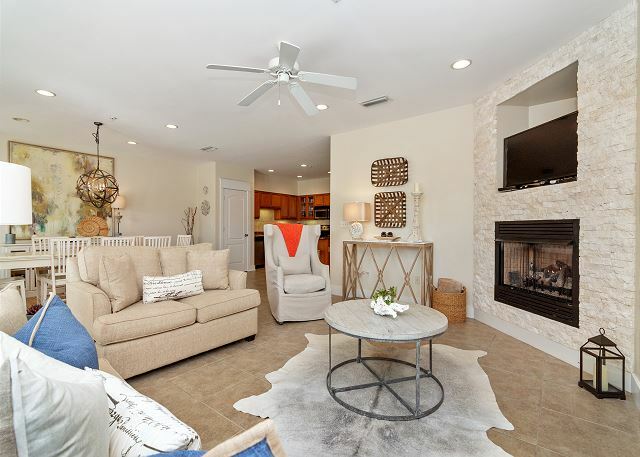 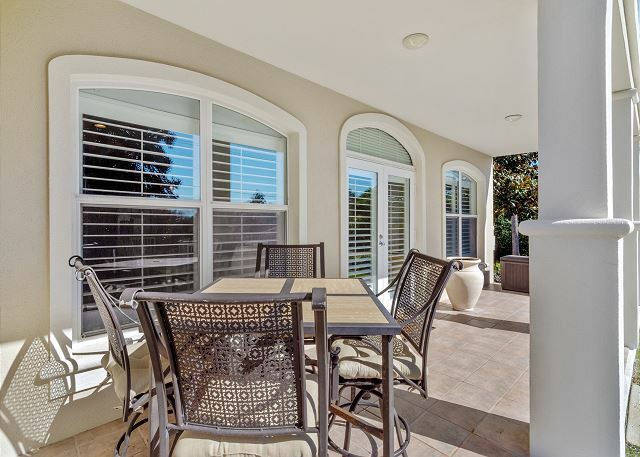 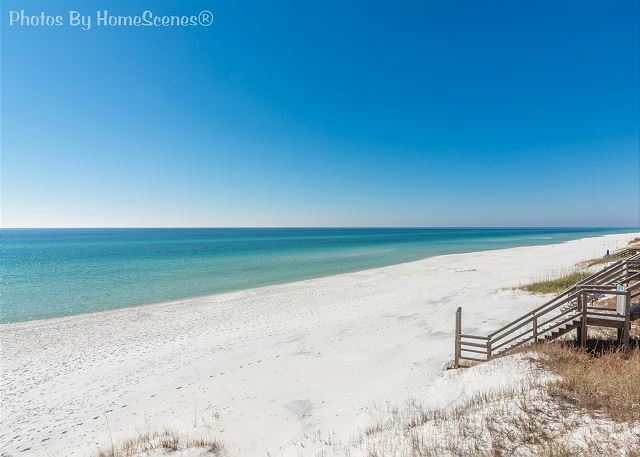 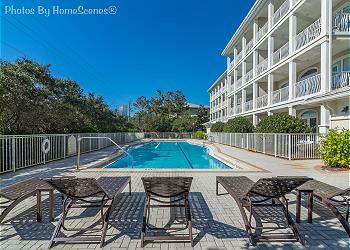 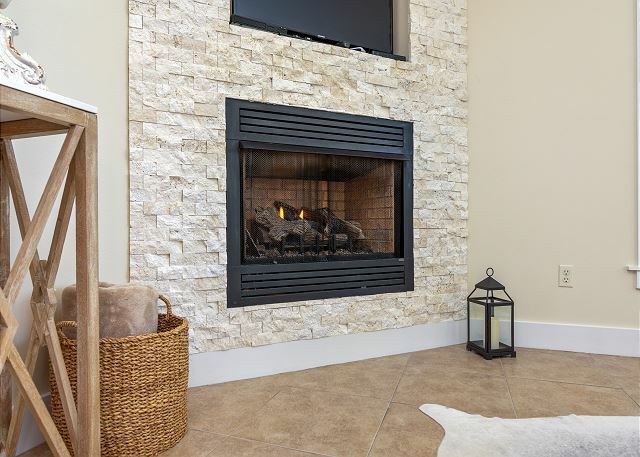 Located on the first floor of the gated community, Villas at Seagrove, "Sunshine Sabbatical" is an updated 3 bedroom/ 3 bath condo on the first floor with private patio, access to a gated shared pool, and private beach access directly across 30a. 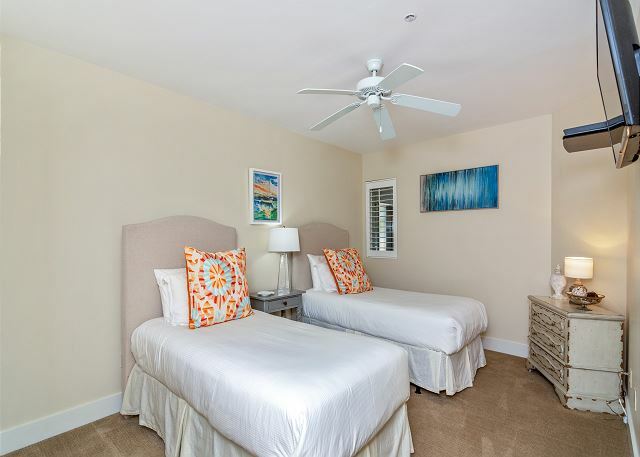 Sunshine Sabbatical offers an open living and dining space (seats 6), updated gourmet kitchen with stainless appliances, living room with sleeper sofa and flat screen TV, and 3 spacious bedrooms each with their own private bathrooms to accommodate 6 guests comfortably. 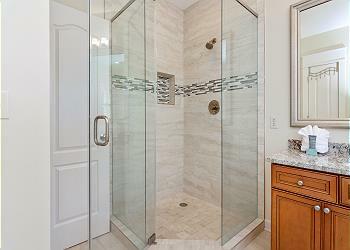 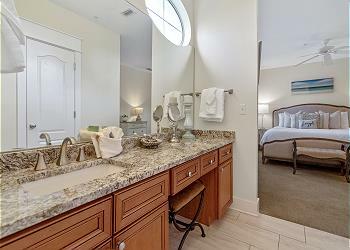 The KING master has a flat screen TV, and an oversized en suite bathroom with separate shower, tub, and dual sinks. 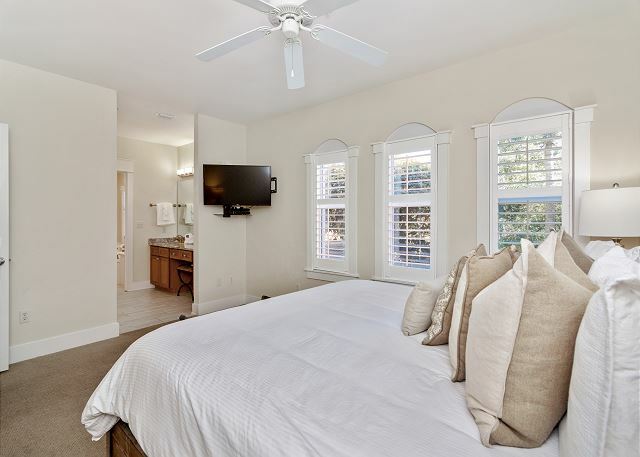 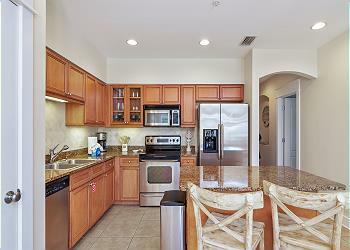 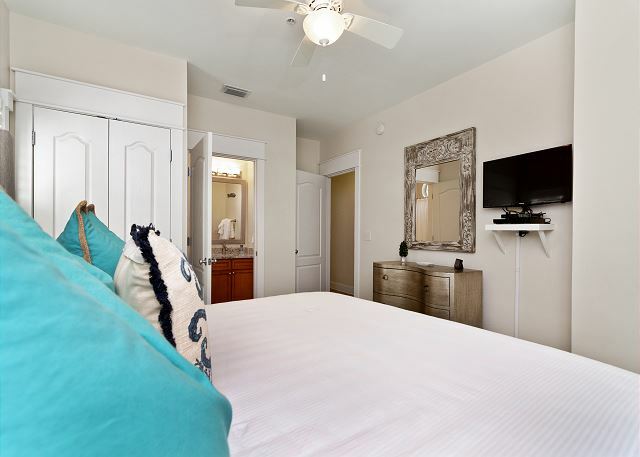 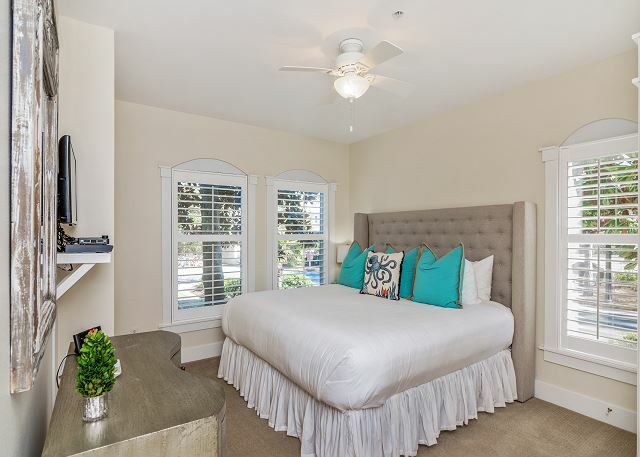 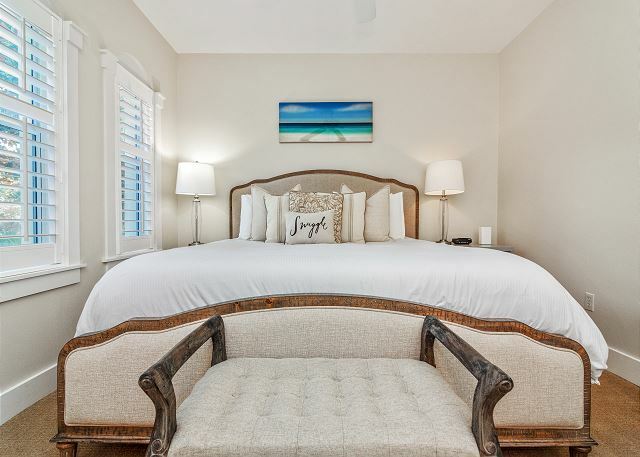 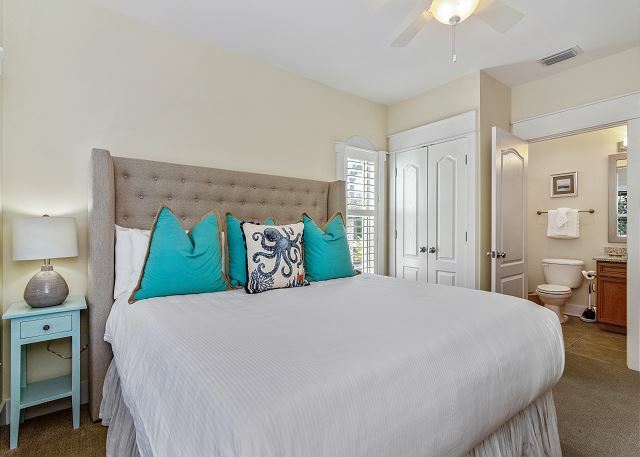 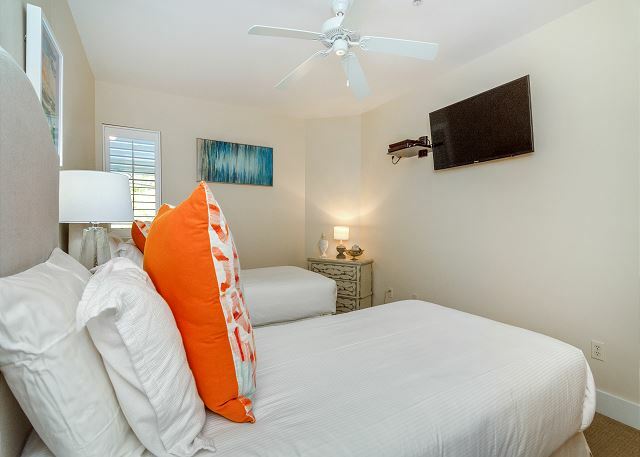 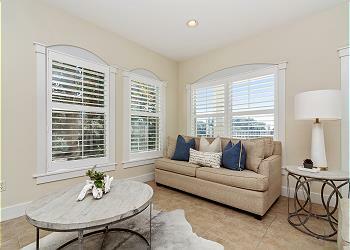 Just down from the master is a KING guest bedroom with private bath/shower combo, flat screen TV and private closet. 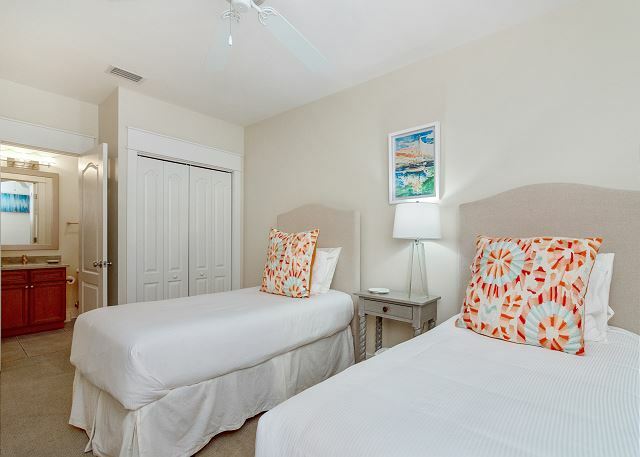 A DUAL TWIN guest bedroom completes the layout offering sleeping for 2 more, also with a private bath/shower combo and TV. 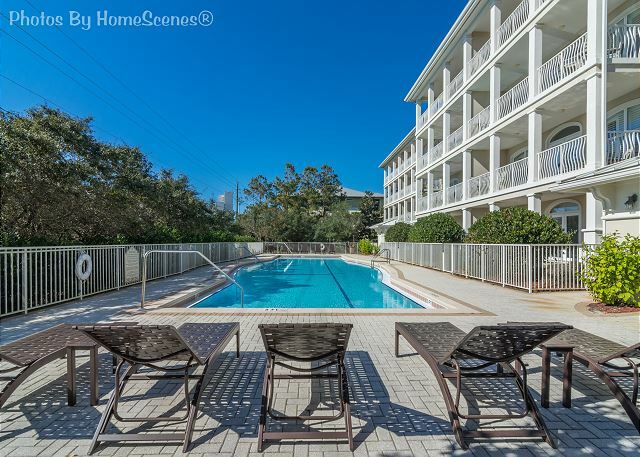 A private patio outside gives you place to store your beach chairs and toys with outdoor dining space for 4 and easy access to the shared pool. The community pool is heated March 1-April 1 and on holidays like Thanksgiving and Christmas. 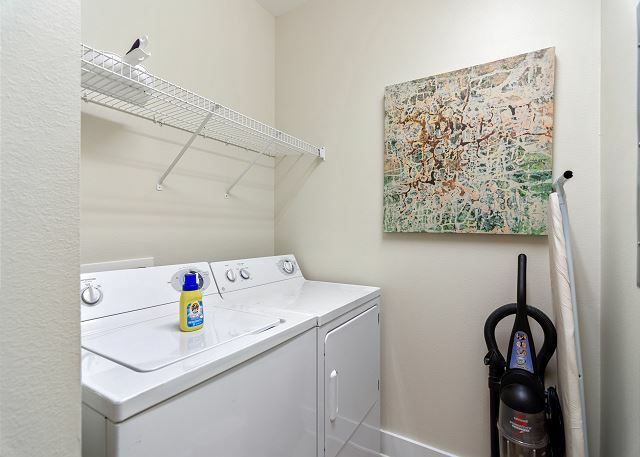 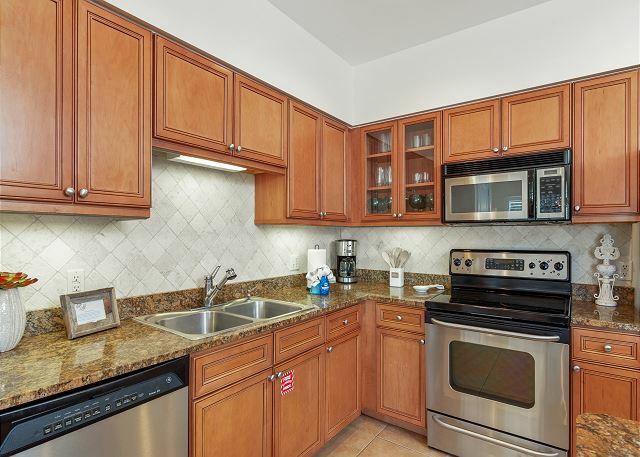 This condo is in a great location with the Perfect Pig (great restaurant) right next door along with more shops and restaurants all within walking/biking distance. 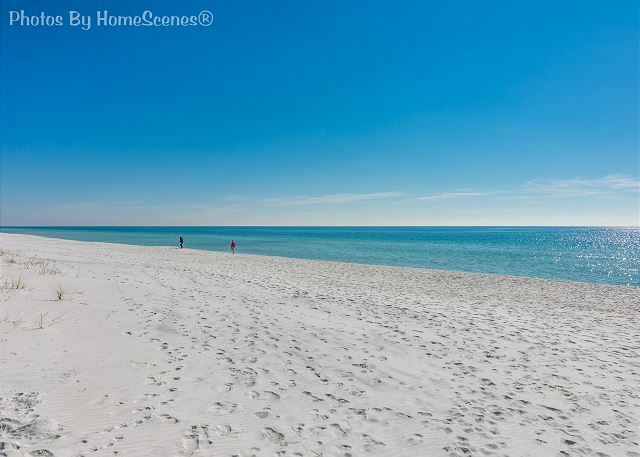 Ride the 2 complimentary bikes all along 30A to explore the entire area! 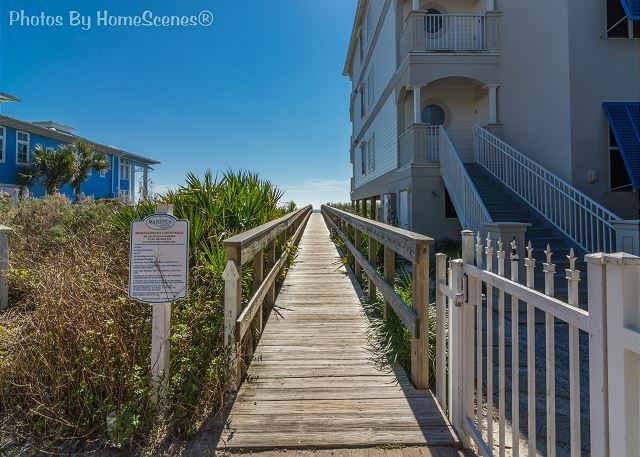 **Beach chairs and umbrella are available for rental at your private beach access point.